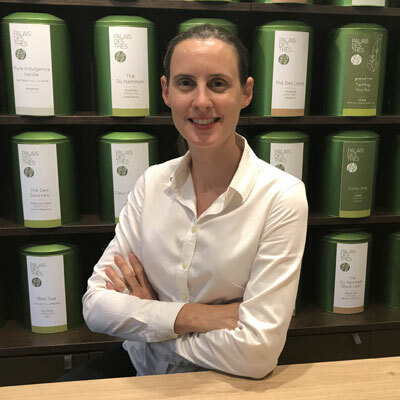 Passionate about sharing all aspects of tea and its culture, Aurélie Bessière leads the development of Palais des Thés in the United States with Cyrille Bessiere. 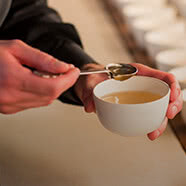 Aurélie educates consumers, retailers, chefs, restaurateurs, and culinary students about such topics as tea varieties, tea selection, tea preparation, tea tasting techniques, and pairing tea with food. 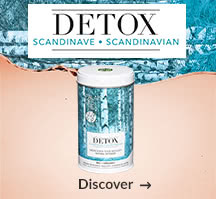 Her greatest joys are introducing people to the range of flavors available in the tea universe (which she believes are even more varied than the flavors of fine wine) and inspiring people to embrace and enjoy the healthy “time out” that tea offers. Aurélie combines her love of tea with strong preparation in international business. Prior to joining Palais des Thés, Aurélie worked in marketing, business development and investor relations at major international companies such as L'Oréal and Total. Aurélie studied management and international business in France (ESCP Europe Business School) and in the United Kingdom (Aston Business School). Born and raised in the royal city of Versailles where tea was introduced in the 17th century, Cyrille discovered tea through his dear wife Aurélie. 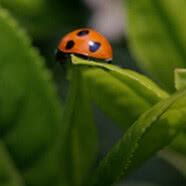 He loves to learn about tea, its cultures and many secrets. Above all, Cyrille loves business challenges. Make Americans drink more premium and elegant tea is definitely one of them. 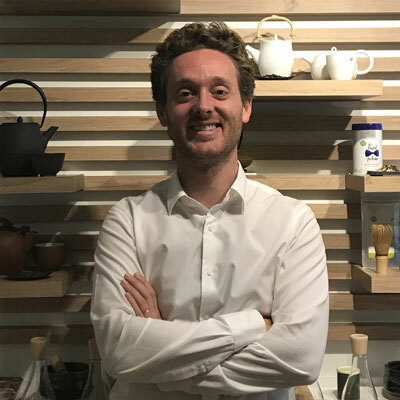 Cyrille works every day to introduce Palais des Thés’ tea program to hospitality partners (hotels, restaurants, cafes) and high-end retailers such as department stores, e-tailers and independent stores. Cyrille puts a lot of focus on customer service and satisfaction. Prior to joining Palais des Thés, Cyrille worked as a strategy consultant at The Boston Consulting Group (in Europe, the USA and in the Middle-East). Prior to BCG, Cyrille became familiar with the American business spirit while working at Procter & Gamble, PwC and Xerox. Cyrille has a Masters Degree in Management from HEC Paris. He also studied in Canada at the University of Western Ontario. 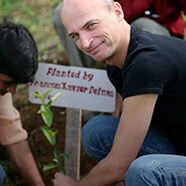 Our founder, François-Xavier Delmas, travels the world in search of the finest teas. For the past 30 years he has spent much of his time visiting gardens and plantations, meeting farmers and producers. 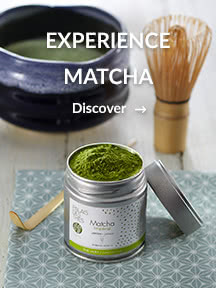 This has given him an in-depth knowledge of the tea regions, terroirs and techniques, and above all allowed him to forge close ties with the people who dedicate their lives to making the best teas. 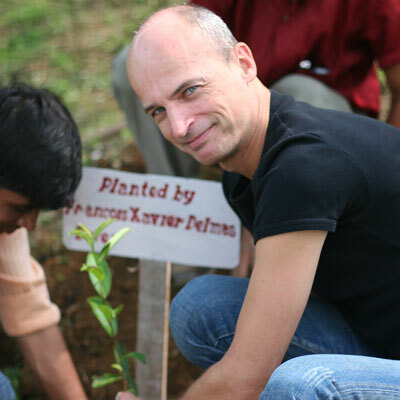 Thanks to this constant presence in the field, François-Xavier has been able to taste some exceptional teas and discover rare pluckings that are prized local specialities, but often completely unknown in the West. 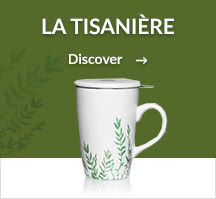 This inestimable knowledge is particularly reflected in the selection of rare, limited-edition and artisanal teas available in Le Palais des Thés stores. Every week, François-Xavier shares his knowledge on his blog, Discovering Tea, describing his visits to tea plantations, the people he meets, and his thoughts and experiences. Mathias Minet joined Palais des Thés alongside François-Xavier Delmas in the late 1990s. 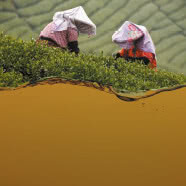 Together, they have led the growth of the company, bringing tea to as many people as possible. 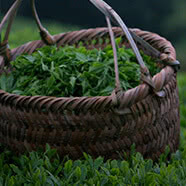 In 1999 they set up the Tea School to share their expertise and experience in tea tasting. They have also written two books on tea: Le Guide de dégustation de l’amateur de thé (Edition du Chêne 2007), which has been the leading French-language guide to tea for the past 10 years, and more recently Tea Sommelier, Le thé en 160 leçons illustrées (Edition du Chêne 2016). For 20 years, Mathias has been creating unique flavoured blends for Palais des Thés including hugely popular teas such as Thé du Hammam, Blue of London and Vive le thé! Jean-Luc Foucher-Créteau was a member of the small group of Palais des Thés’ founders in 1986. Passionate about the venture from the start, Jean-Luc rejoined the business in 2015 after an international career. On the invitation of his childhood friend François-Xavier Delmas, he is now CEO of Palais des Thés, a 100% French, independent company. 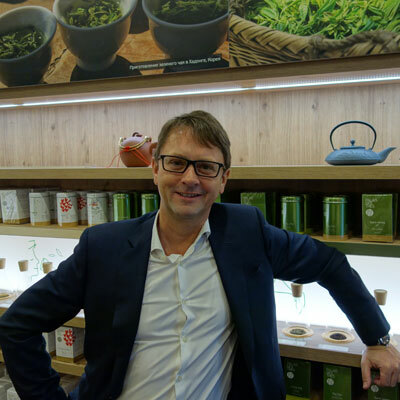 Jean-Luc’s love of tea is matched by his passion for business and his desire to enable Palais des Thés to develop further in this fascinating field. 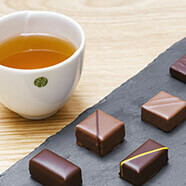 Experts in the art of tea-tasting, the role of our tea sommeliers is to transmit their expertise and passion. 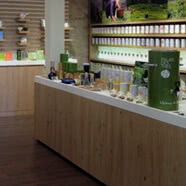 Every day, in our stores, they help customers navigate the different flavours and aromas of the finest teas. 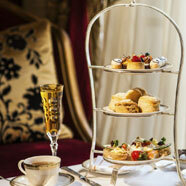 As connoisseurs of tea and food pairings, they also advise chefs and sommeliers at leading restaurants. To become a tea sommelier, Palais des Thés’ employees must gain in-depth knowledge of tea by following a practical and theoretical training programme with the Tea School. This course concludes with an exam and the awarding of the Tea Sommelier diploma.